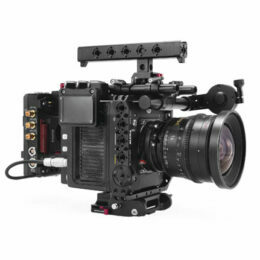 Fast response, low-noise and high-torque motor for use with the Tiltamax Zoom Handle or Nucleus-II Wireless Follow Focus System. Designed to be used on either the left and/or right side, this motor has a super compact modular design perfect for handheld and aerial shooting. Compatible with all cinema lenses. Requires the Nucleus-II MDR – which can be updated via WiFi through the TILTA mobile APP allowing for control of two or three additional motors.